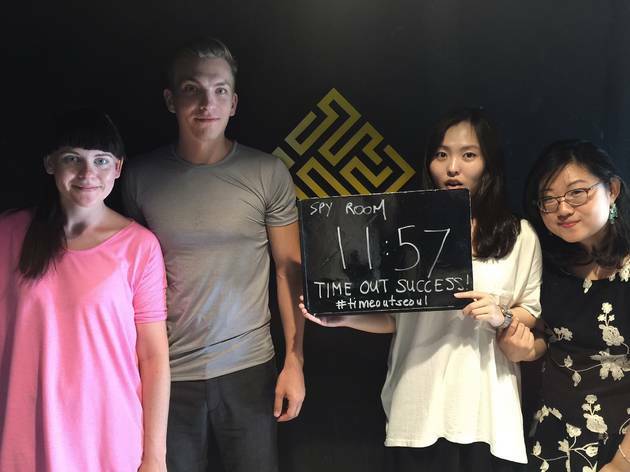 Escape rooms are the trendiest gaming trend to hit Seoul this summer. Here's our go at it! “I’m so sorry.” I apologize to our photographer, who has to wait for us as we enter the mysterious room. As tempted as I am to detail where every clue is hidden, I’ve given my word of honor to the people of the Seoul Escape Room, where photos are strictly prohibited and personal integrity keeps you from giving out details. 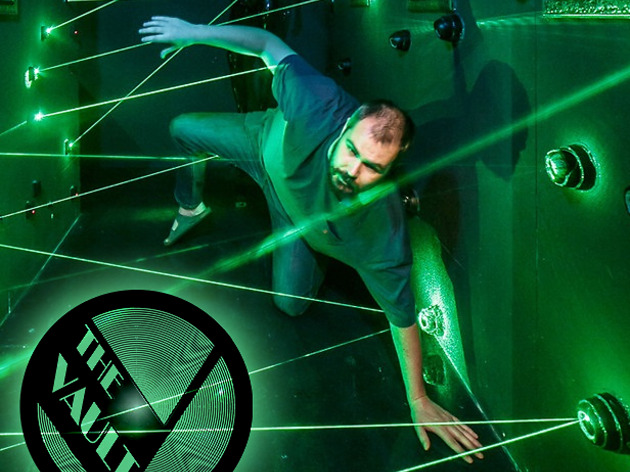 Taking physical form after the success of the original online games, real-life escape rooms have been all the rage all over Europe, China and the U.S. Within the past few months, several locations have popped up offering this trend right here in Seoul. 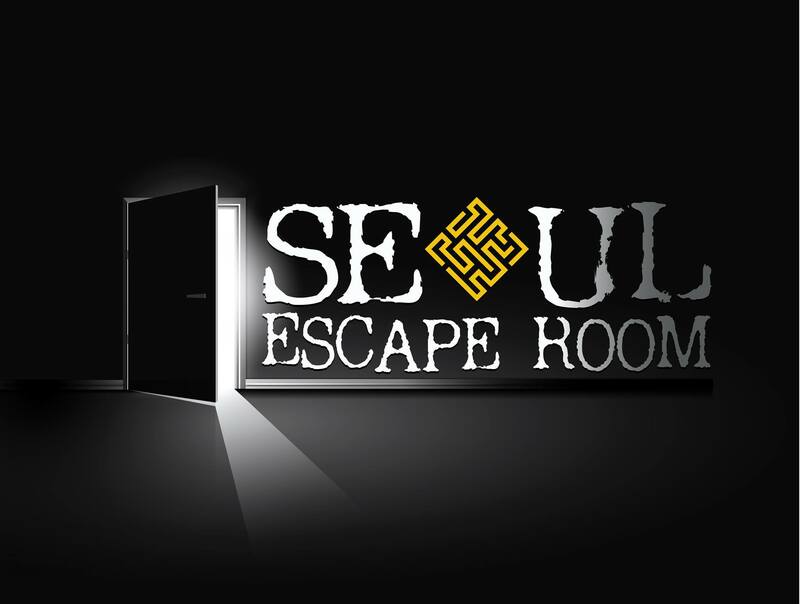 At this Hongdae location, there are two types of rooms fitting two to four people: the Spy Room and the Office Room. In the Spy Room, you’re transported to a strange man’s apartment in the year 1973 and in the Office Room, you’ve snuck into your ex-boss’ workplace, hoping to escape before the police arrive. 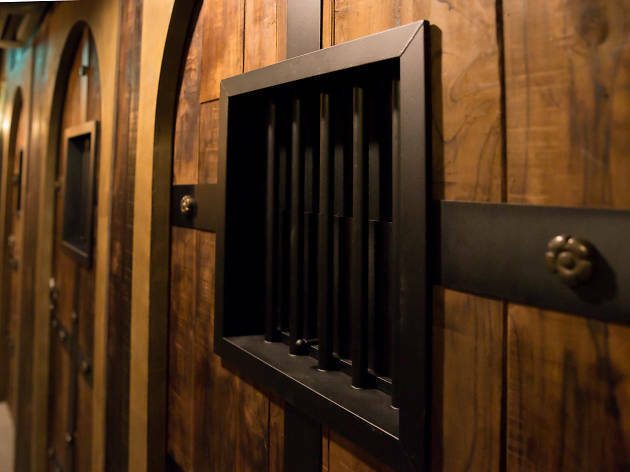 Once inside, you have to look for a series of clues, solve riddles and puzzles and beat the clock set for 60 minutes. We leave our cellphones in a locker, promise our photographer an ice cream and enter the Spy Room. With 11 minutes and 57 seconds to spare, we made it! Here are our reactions (colored by the glories of victory). Make reservations online in advance. They sell out really quickly! Use the bathroom before you go. Don’t forget you’re in there for an hour (or so). If you don't like to lose “shoose your friends wisely” says fellow editor Michelle who genuinely believes you're at an advantage when going with smarter friends. 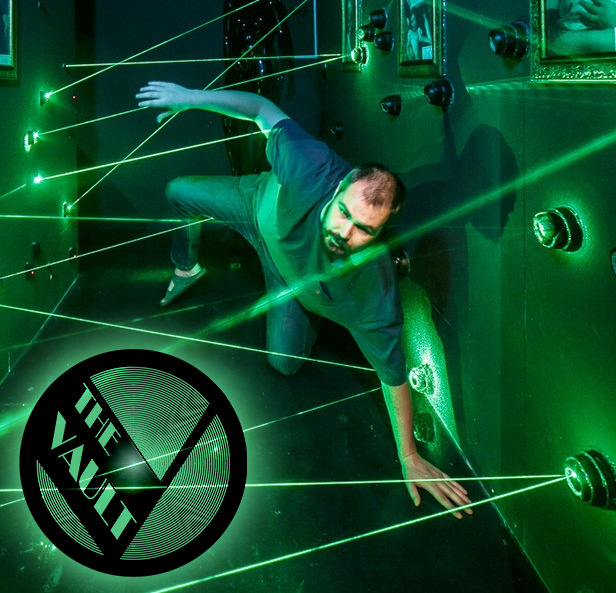 Before: I have been addicted to playing escape games on my phone, so I was a fan of the concept already, and was overjoyed when I first discovered that it existed IRL. Solving mysteries is my favorite thing in life. 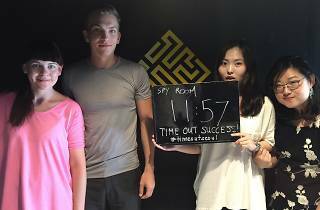 After: I visited an escape room last year in Prague, but this one in Seoul was so much better organized and well thought out. I was psyched before entering and if possible even happier afterwards because we managed to solve the clues in time. For anyone who enjoys brain games, team play and detective stories this is 5-star experience, for sure! Before: I had played a computer game version of this, years ago. I felt powerful, but worried that it would be too difficult for my powers. Before: Before: Escape from what? I can't even sit through a Lord of the Rings movie without flinching. This is going to be scary. And lame. After: I can't believe I am saying this, but we escaped and I liked it. I came out flushed, pumped with adrenaline, and feeling ten times smarter and better about myself. Like we've saved an island or something. Before: I know nothing about Escape Rooms. The only game I play is Scrabble and my scare measure’s that of a grasshopper’s (I’m scared of those, too). Fearing the game to be terrifying or anxiety-inducing, I am not necessarily looking forward to the experience. After: Yay! It was so fun! I’m all smiles and recommending the game to everyone I know. I didn’t get a heart attack and it wasn’t scary at all. I give the experience a 5! Cruise. Whimsical, lighthearted and a bit disorganized, they’ve opened up the bar and kitchen for this party which also runs late. 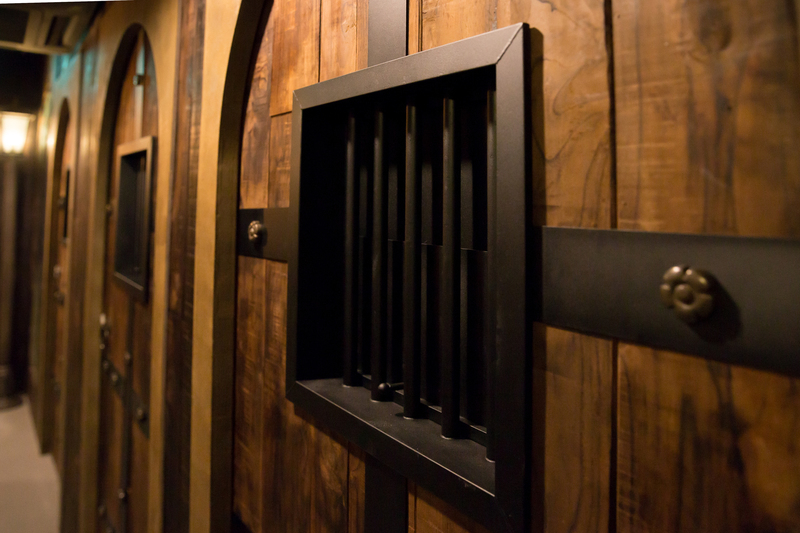 Themed around human trafficking, the most popular room here is called “Kidnapped.” Players of the game are led to their rooms blindfolded and the lock ominously ticks behind you. Yikes!